Capt. 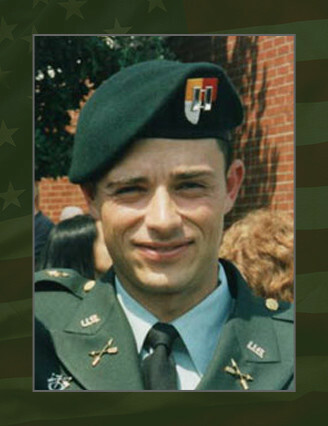 Daniel W. Eggers, 28, was a Special Forces detachment commander assigned to Company C, 1st Battalion, 3rd Special Forces Group (Airborne) at Fort Bragg, N.C.
Eggers was a native of Cape Coral, Fla., and was commissioned in May 1997 after graduation from The Citadel Military College of South Carolina where he majored in history. Following a deployment to Afghanistan in March 2003 with the 3rd SFG, he was assigned to Company A as a detachment commander. His awards and decorations include the Bronze Star Medal, the Purple Heart, the Army Commendation Medal, the Army Achievement Medal, the National Defense Service Medal, the Global War on Terrorism Expeditionary Medal, the Global War on Terrorism Service Medal, the Army Service Ribbon, the Combat Infantryman Badge, the Expert Infantryman Badge, the Parachutist Badge and the Special Forces Tab. Eggers is survived by his wife, Rebecca, and their children John, 6, and William, 3. His parents, William and Margaret Eggers of Cape Coral, Fla., also survive him.